Time flies and she turned 20th month in end June. Interestingly, she spoke lesser new words after she went to childcare, instead, she began to talk more ‘baby language’ which basically don’t make sense to any adult, at least not to Kpo Kia papa and mama. She learned to sing Happy Birthday song!!! She is showing off her negotiation skills during her changing time…. 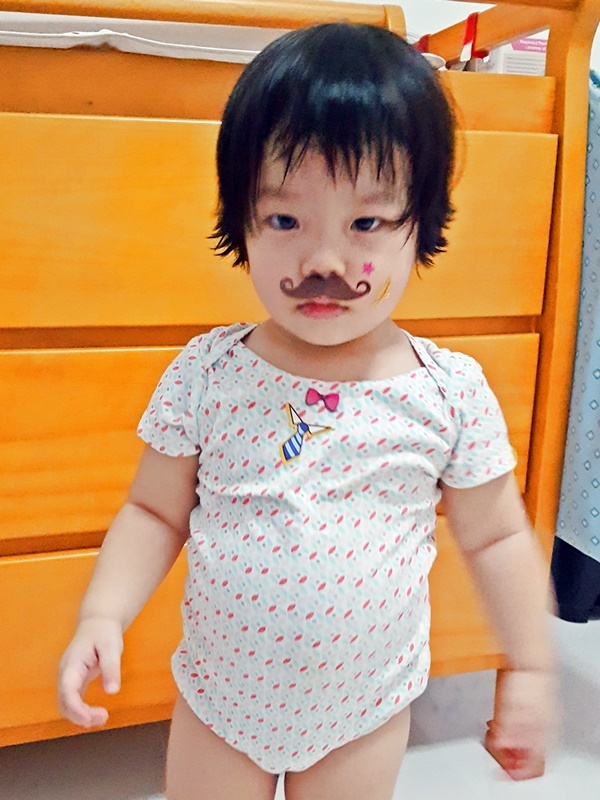 Oh my dear Kpo Kia… Mama is so amaze and so amuse by your growth and changes. Such a sweet personal mummy-daughter post this is. I am sure you will enjoy reading it again 20 years down the line. May your daughter grow up healthy and filial. This is so funny I had this big smile on my face reading this, kids are just so cute. So cute, look at those chubby cheeks. Cant resist. Post a blog which give memorable flashback. THIS IS THE ONE. I bet you will be having a smile,when u scroll blog back. Thanks! I know right! Kids are so adorable and no matter how tired and stress, they always managed to cheer us up! She is so adorable! Ber ber ber hahahaha, how cute!